Car accidents can occur when they least expect them. They can happen on freeways or on two-lane roads. All drivers have a duty of care to the others around them. This means all drivers must remain cautious and follow the rules of the road at all times. On May 27, the Worcester Police Department received information about a multi-vehicle accident. 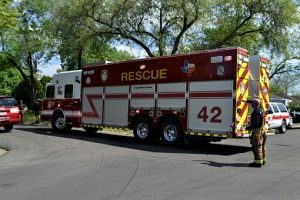 The incident was reported to police around 3 in the morning, and first responders arrived at the scene on the 100 block of Hamilton Street shortly afterwards. Once they arrived, emergency personnel found that one victim was suffering from injuries, so they administered medical care at the scene. Other responders directed traffic around the area. The extent of this individual’s injuries are still being determined, but they do not appear to be life-threatening. Thankfully, the injuries reported in this accident appear to have been minor, but some car accidents can be much more serious. Accidents always carry the risk of injury, and this is why all drivers must remember to follow traffic laws at all times. We all need to do our best to drive safely and prevent accidents. We at the Law Offices of Jeffrey S. Glassman are committed members of our community, and we want our roads to be safe for all who use them. We strongly urge all drivers to always be vigilant when behind the wheel as negligent driving can be dangerous. However, we know that accidents do happen. As such, we are also here to help victims receive the help they need to focus on recovering.